The Berenstain Bears' Easter Parade $3.59 + FREE Shipping with Prime! You are here: Home / Great Deals / Amazon Deals / The Berenstain Bears’ Easter Parade $3.59 + FREE Shipping with Prime! The Berenstain Bears’ Easter Parade $3.59 + FREE Shipping with Prime! 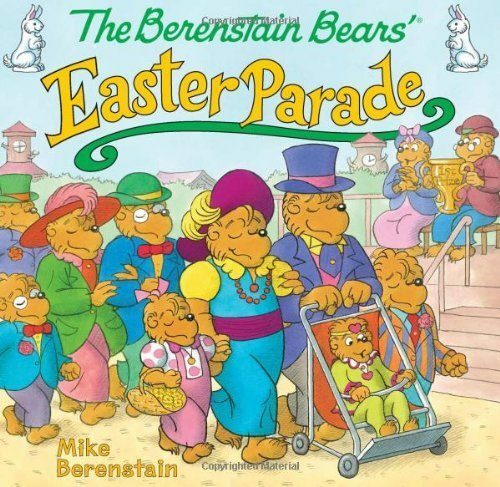 Head over to Amazon and get The Berenstain Bears’ Easter Parade for just $3.59. Shipping will be FREE with Amazon Prime or an order of $35 or more. The Berenstain Bears are back in this Easter adventure! Spring is here, the sun is shining, and the Berenstain Bears are getting ready for the Easter parade! That is, everyone except Brother Bear, who just can’t seem to get in good spirits. What will bring a smile to Brother Bear’s face during this happy Easter celebration? The Berenstain Bears children’s books are classics, and with beautiful illustrations, well-known characters, and spring and Easter fun, this book is the perfect gift for any Berenstain Bears fan!